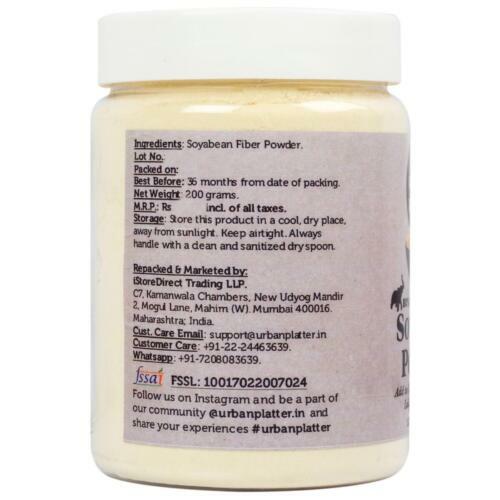 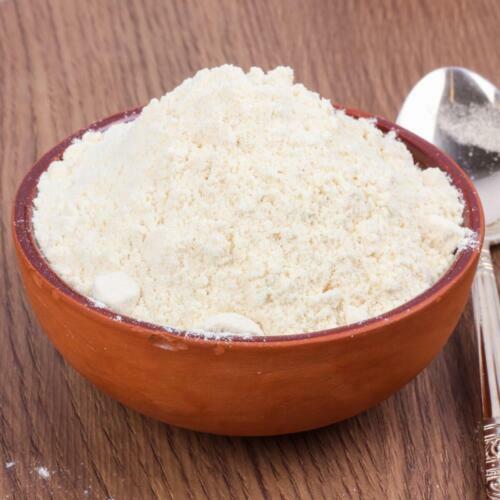 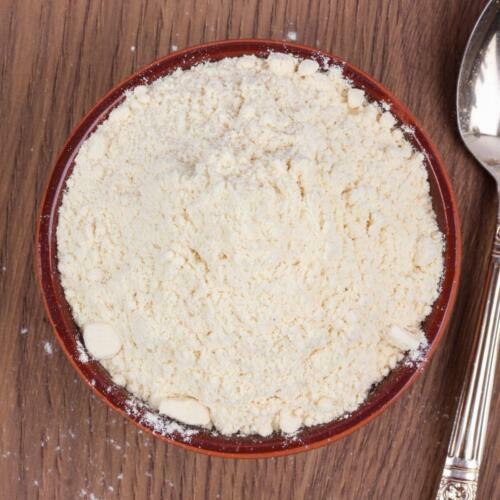 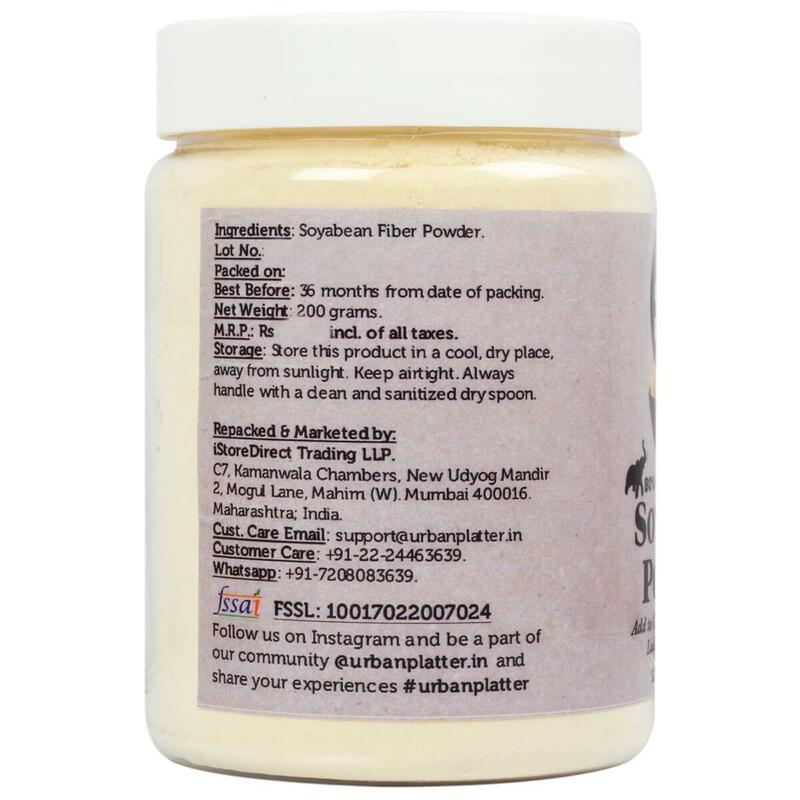 Urban Platter Soy Bean Fiber Powder is made from soy cotyledon or cell wall, and thus has benefits of both soluble and insoluble fibers (between 62-70% insoluble and 5-9% soluble). 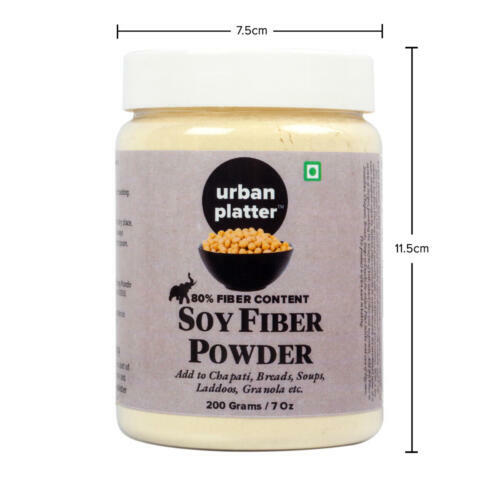 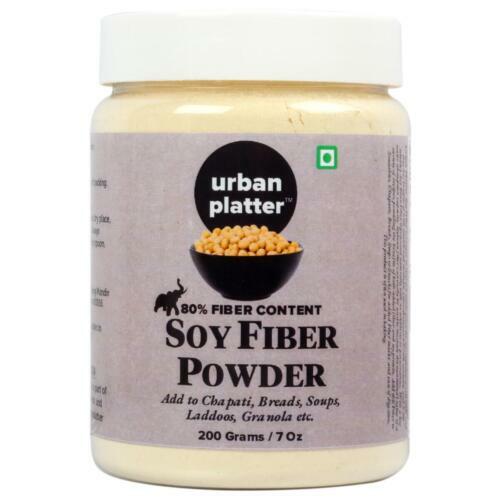 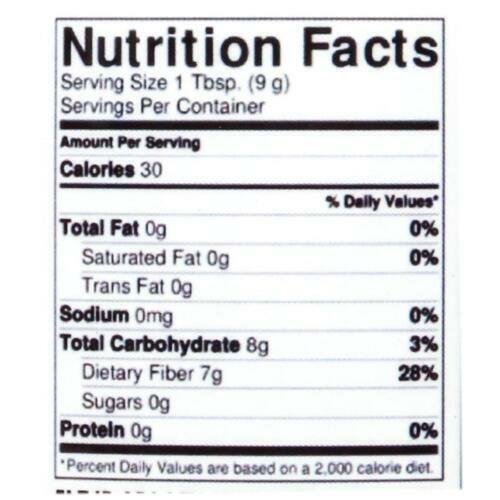 Soy Bean Fiber is processed naturally with no additives or preservatives. 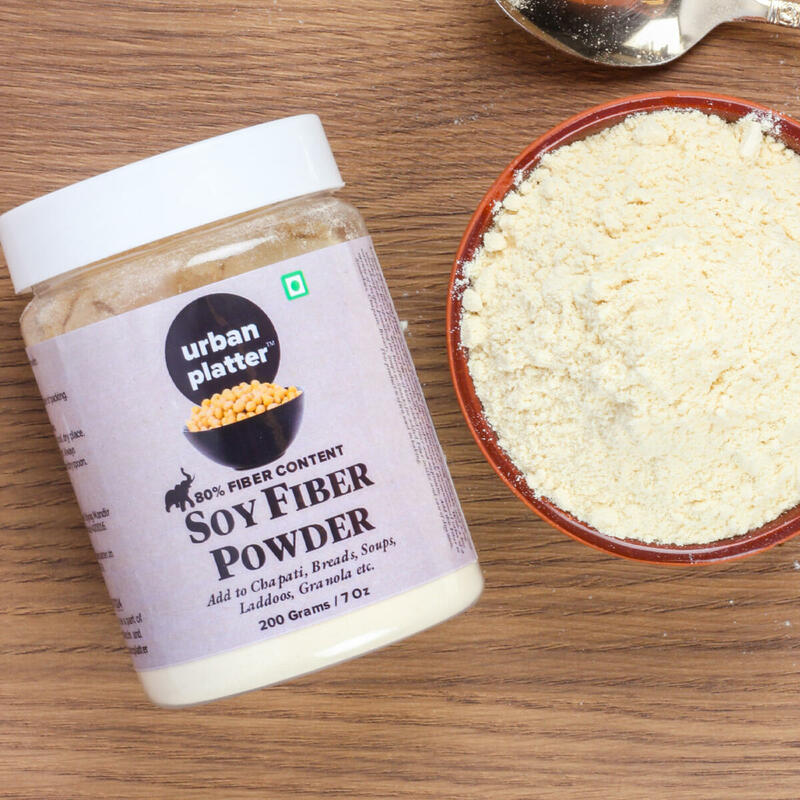 With a low water absorption, capacity, soybean fiber can easily be used to increase the nutritional value of a variety of recipes, providing the benefits of both added fiber and soy protein. 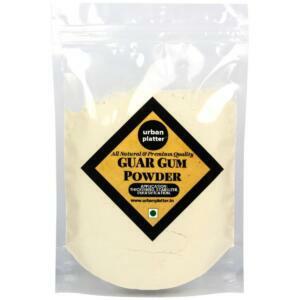 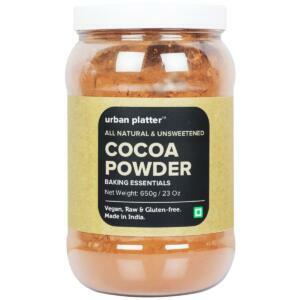 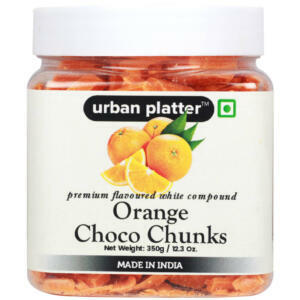 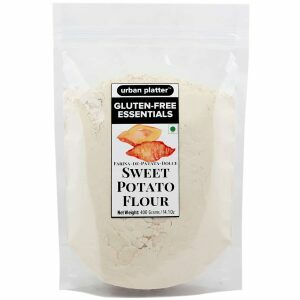 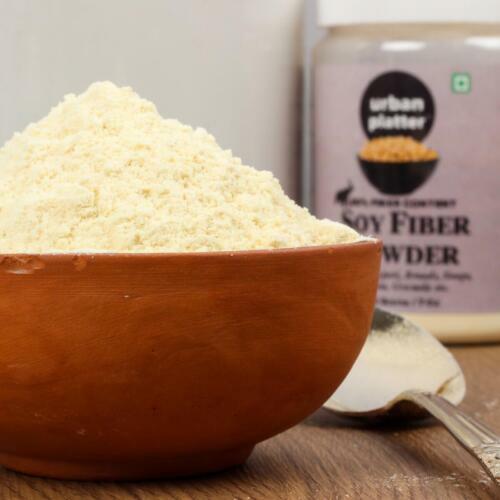 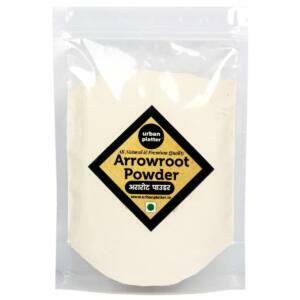 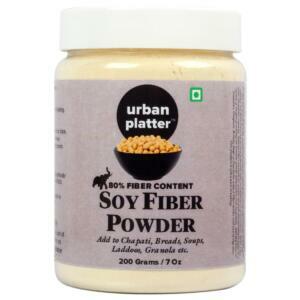 Add this fiber to smoothies, chapatis, breads, soups or snacks for added fiber intake and ease of digestion.